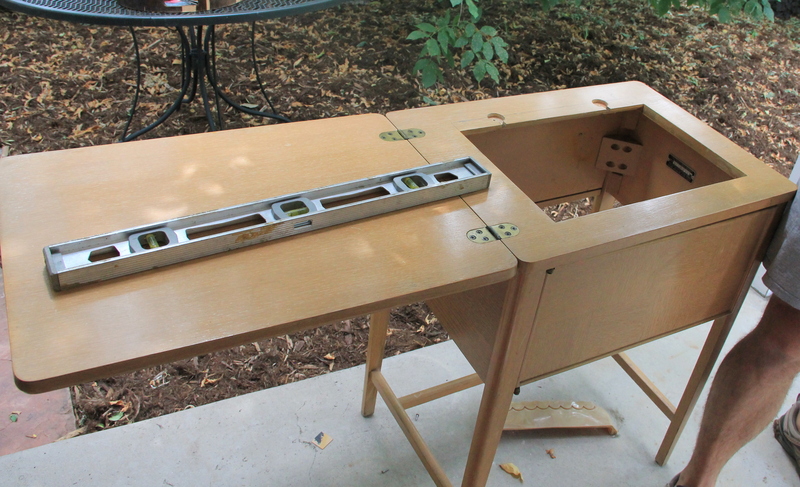 A couple of summers ago I scored a sweet sewing table at a garage sale for five bucks. 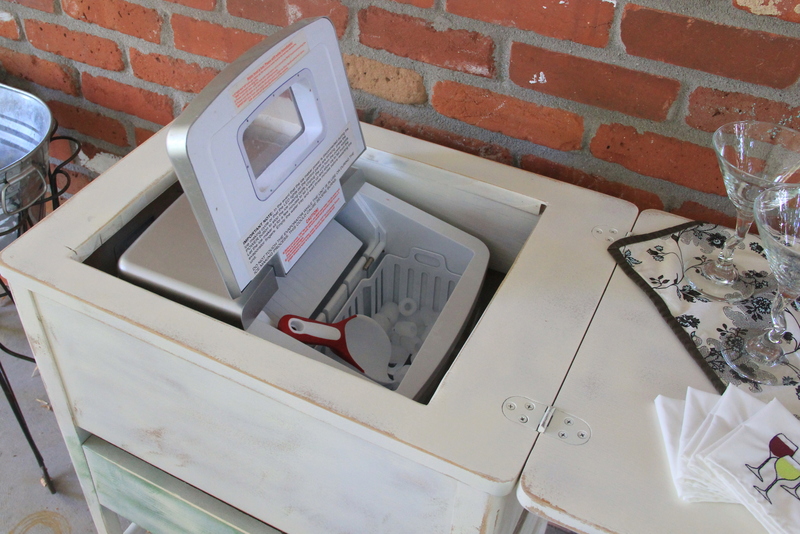 With the help of my sweet husband, I turned it in to an ice maker holder/wet bar for my back porch. It still looks great and continues to be a functional part of our entertaining. This past weekend, I snagged this little beauty at an estate sale for one dollar. 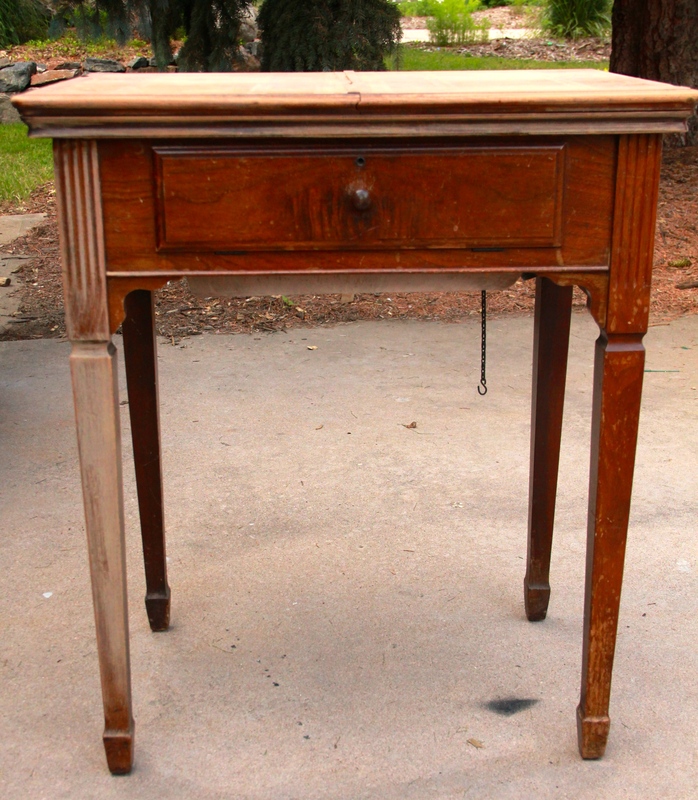 It is very old, very water damaged and very unique….the top opens up down the middle instead of to one side. 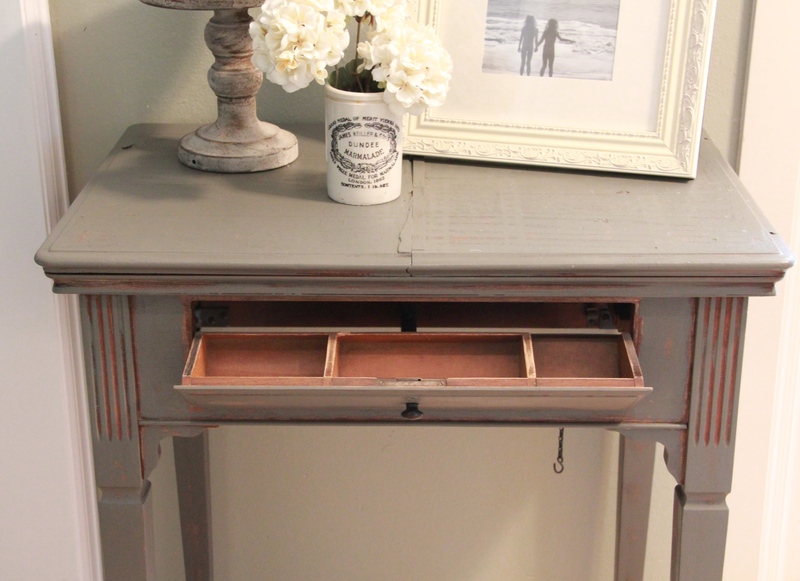 This is perfect for a small desk or entry table, but it needed some TLC. 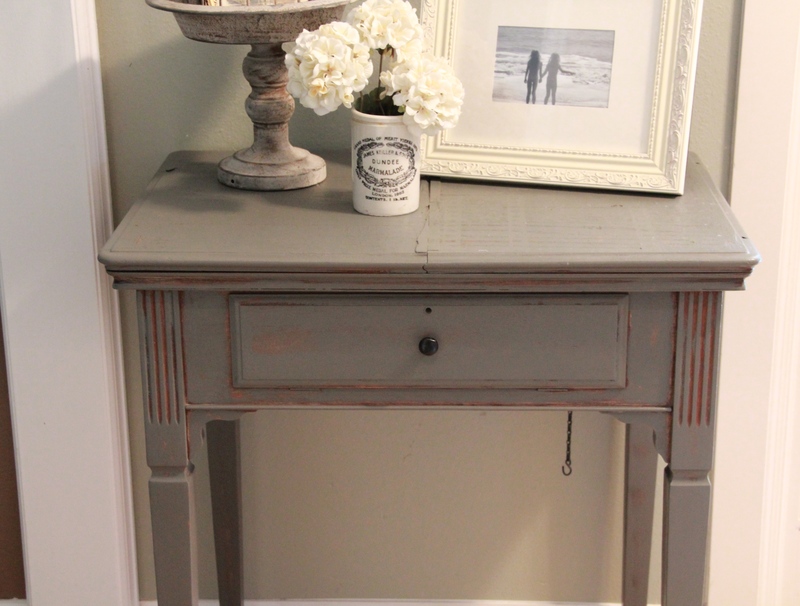 Call me old school, but the chalk paint rage has not quite made it to my crafty little hands yet. 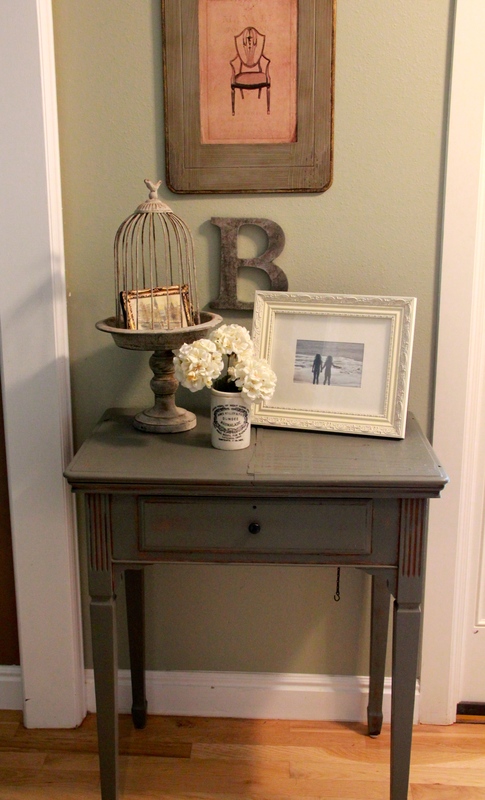 Besides, to get the look I want with chalk paint, I would have had to go through at least three more steps than I did. For this re-do, you can complete it in two. All you need is a bit of sand paper, paint and a roller sponge. Sand your piece. 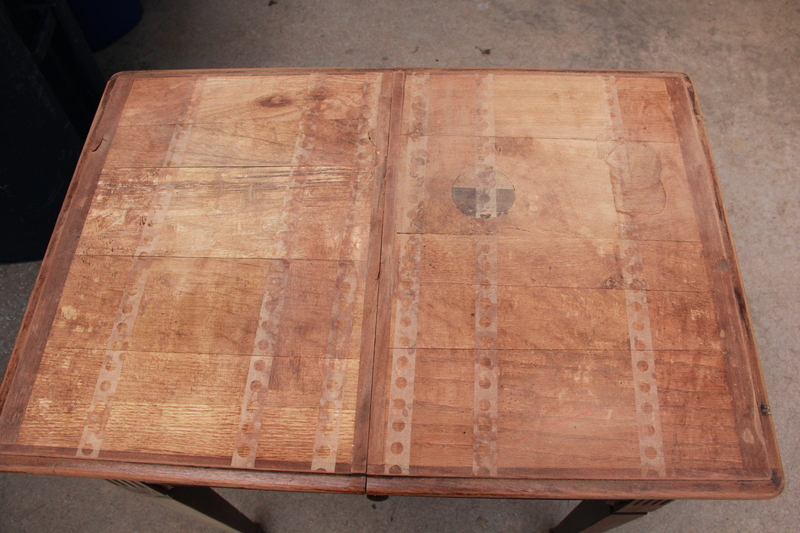 You don’t need a sander, just rough sand paper (80 or below). You also don’t need to sand all the finish off either. This piece only took about a half an hour. 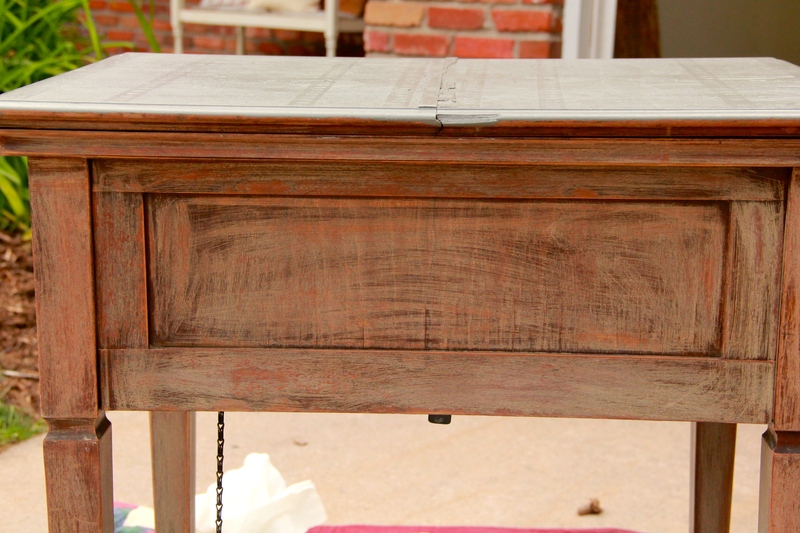 Once you have it sanded to the texture you like, take your small roller sponge (any hardware or craft store will have them) and LIGHTly roll on your paint. 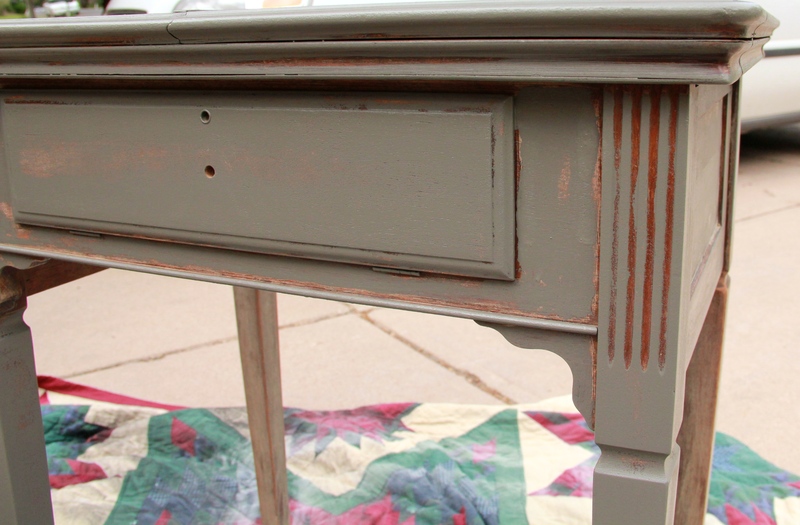 The reason you want to apply a light coat is so that the finish of the original piece can show through and you will have an automatic weathered look WITHOUT DOING ANY MORE STEPS! By using a foam roller, you will also not have any annoying brush strokes to deal with. 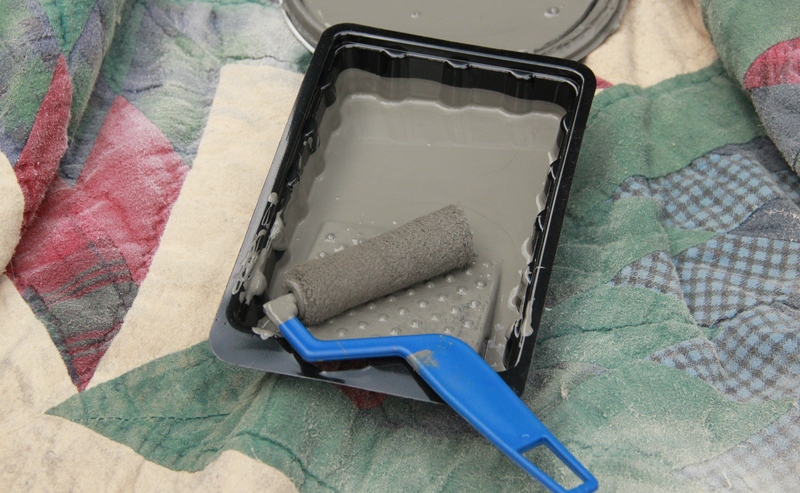 After your light coat of paint dries…. not bad for a buck, eh?